This ring shows what happens when lines intersect with interest and intrigue! 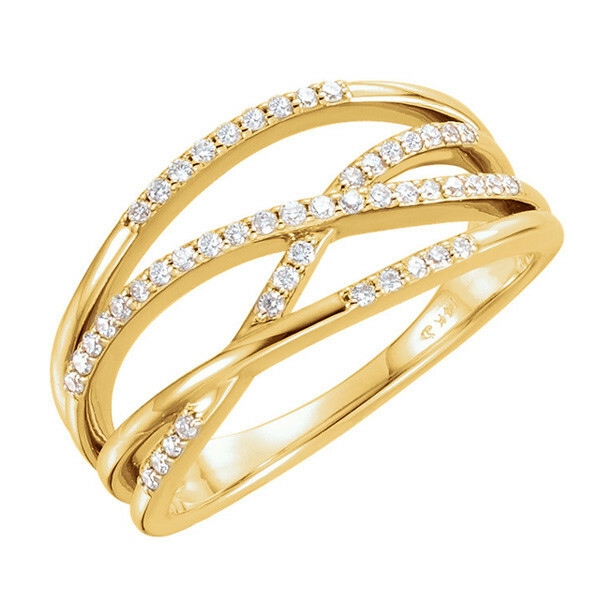 Crafted in 14kt yellow gold, it features white diamond accents that glisten and gleam. The gemstone placement appears to be random, bringing a bit of the unexpected and a lot of radiance to the ring.